That can of WD-40 in the shed should not only act a lubricant that helps take the squeak out of door hinges this holiday season. It is also brimming with infinite possibilities asides from the popular ones, such as using WD-40 to loosen screws, nuts, and bolts, and protect tools from moisture. It doesn’t end there though, show off your WD40 life hacks to your family members this Christmas, because those in the know use WD-40 for almost anything and in a myriad of weird and wonderful ways. Imagine you want to get a glass for the holiday eggnog and when you reach for a drinking glass, you get two locked together, one stuck tightly inside the other. Don’t risk breaking one or both by trying to pull them apart. Get a can of WD-40 and squirt some of the magic on the stuck glasses and they will separate with ease. Just spray and wait a few moments so it can work its way between the glasses, and then gently pull the glasses apart. Also, remember to wash the glasses properly before use. WD-40 is also a fantastic cleaning product, the multipurpose solution is one of the best cleaning tools that work. Children seem to be everywhere underfoot during the holidays, and they leave their mark, on walls, shelves, doors etc. These pen and crayon stains are no match for WD-40’s ability to quickly remove crayon scrawl from walls, table surfaces and TV screen. Just spray a generous amount of WD-40 onto a sponge or soft rag and wipe off the crayon. 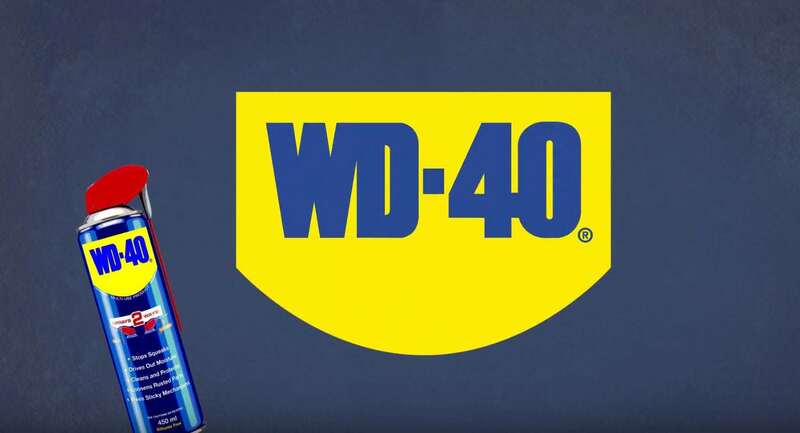 With a can of WD-40 close by, you can control the cockroach, insect, and spider infestation in your home with the family around. Just spray a small amount of WD-40 on any insect to repel it. You can also spray WD-40 on windowsills and frames, screens, and door frames to keep insects out of your home. You can quickly and easily scrub away your Christmas dinner stains from your kitchen counter by spraying WD-40 on a sponge and using it to wipe the counter top. Be sure to clean the surface thoroughly to remove the WD-40 residue afterwards. This is one of the most common children disasters, chewing gum tangled in their hair. However, with a can of WD-40 at hand, you don’t have to run for the scissors. Simply spray WD-40 on the gummed-up hair and comb out the gum with ease. It can be quite annoying getting dirt on your brand new pair of trainers, especially since you will like to show them off to friends and family. Cleaning trainers with muck on them isn’t much fun either. The WD-40’s “water displacement” function, will help protect your trainers. Simply spray your trainers with WD-40 and wait for a few minutes before cleaning. As the foot traffic increases during the holidays, so does the scuff marks you have to deal with. By spraying those scuff marks with WD-40 you can easily clean them using a rag. Use WD-40 to easily remove tar and scuff marks on all your hard-surfaced floors. Remove any residue left by WD-40 so that you don’t have a slippery surface. 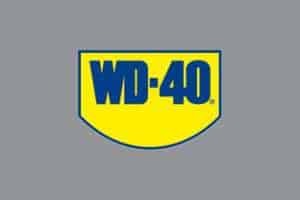 This seems to be one of the more popular uses for WD-40 and especially during this Christmas season. As you get new gifts of shoes and footwear you can spray WD-40 onto them to help protect them for the winter months. You will need to reapply if you are wearing them often. Having a sparkling toilet bowl every single time doesn’t require having a bald genie or a specialized product. With your trusty can of WD-40 you can have clean toilet bowls that can stand up to a lot of flushes. Just spray into the toilet bowl for a couple of seconds and flush, the solvents in the WD-40 will help keep your toilet bowl stain free. By coating your snow shovel with WD-40, it will help the snow to just slide off instead of sticking to it. You will need to reapply if you have a lot of snow to shovel!